Fuff is a straight talking branding, print and digital design agency offering great creative ideas, no-nonsense customer service and timely delivery on all projects. New website for TV Celebrity and Hotelier Ruth Watson. 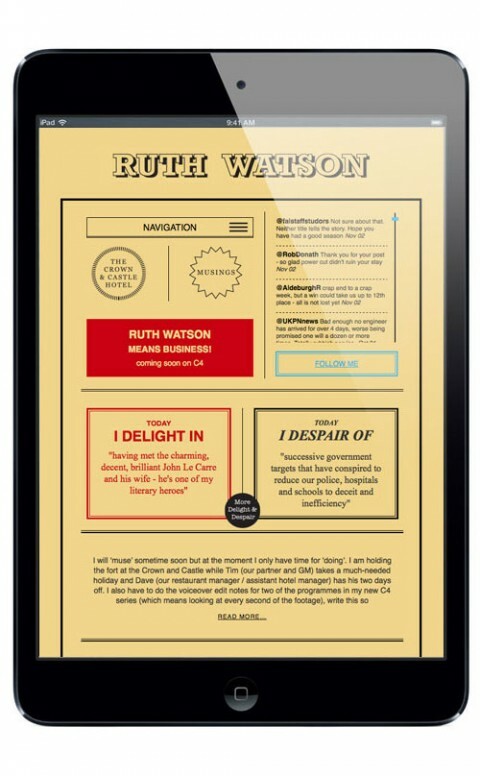 Inspired by a lovely Menu design by Ruth herself and responsive so it works really well on all devices.